Vip spec home. 4 bdr. 3.5 ba. 4 car garage.10 ft flat ceilings. coffered ceiling at great room. Kitchen has double ovens and separate cook top. Cabinets have been upgraded to full overlay maple with black glaze and self close hardware. Island and countertops have been upgraded to Quartz.2 tone interior paint. Master bath has a travertine snail shower and separate tub. Upgrade Tile and carpet. Interior doors upgraded to 8′. Baseboards are 4 1/4”.Double french doors to patio from great room. Garage service door. 14 ft rolling gate. 2 stucco monument light posts.2×6 construction. energy star level 3.You may park an RV or boat on your lot. Directions: From Glendale Ave. S. on 137th Ave. W. on W. Ocotillo Rd. Approximate size: 35056.00 sq. ft. 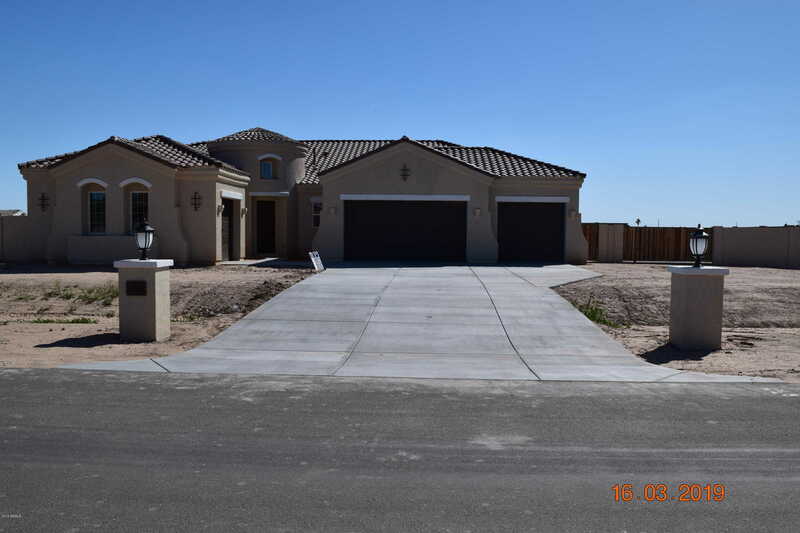 Please, send me more information on this property: MLS# 5904530 – $597,975 – 13607 W Ocotillo Road, Glendale, AZ 85307. I would like to schedule a showing appointment for this property: MLS# 5904530 – $597,975 – 13607 W Ocotillo Road, Glendale, AZ 85307.